Prescription drug copayments in many instances more than cover the retail cost of a drug, a recent USC study has revealed. This means that technically, an overpayment occurs and someone — not the patient — keeps the excess payment. In fact, researchers at the USC Schaeffer Center for Health Policy and Economics who recently analyzed claims found that the co-payment exceeds the cost to their insurer in 1 in every 4 claims. The average overpayment is about $7.69. However, almost 1 in 5 overpayments exceeded $10. Sixty percent were worth $5.00. “Our study sheds light on what many had assumed to be an uncommon practice, and finds that overpayments may occur much more frequently than we realized,” said lead author Karen Van Nuys. “These findings have implications for patients’ out-of-pocket spending as well as national drug spending trends.” Van Nuys is a research assistant professor at the USC Price School of Public Policy and executive director of the Schaeffer Center’s life sciences innovation project. The interactive graphic above is based on the researchers’ study that appeared in the Journal of the American Medical Association and a corresponding Schaeffer Center white paper in March. The graphic shows how frequently the co-payment exceeds the price of commonly prescribed drugs, and provides the average overpayment per drug. 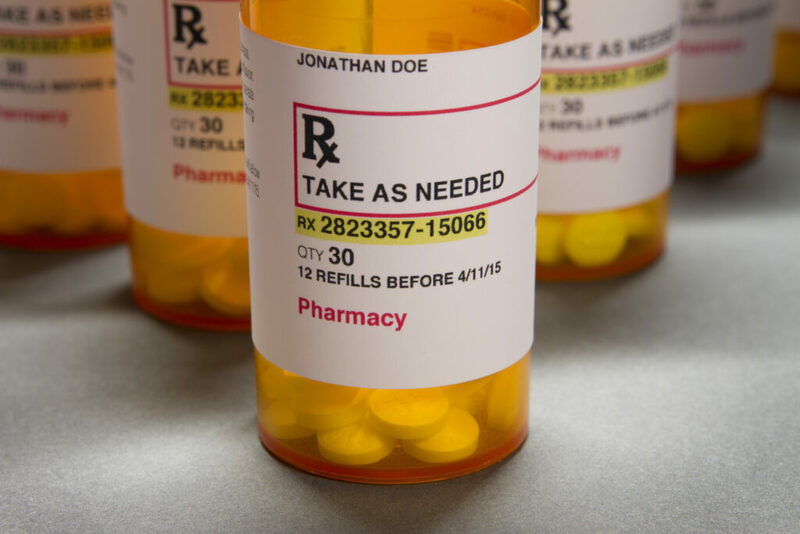 The drugs with frequent overpayments include antibiotics, statins, anti-hypertensives, sleep aids, anti-inflammatories, and cough and cold medications. Almost 23 percent of the claims – or 2.2 million – involved overpayments. Not surprisingly, they occurred more frequently on generic drugs than on branded, 28 percent vs. nearly 6 percent. Most consumers – whether insured through their employer, the individual market, or government programs – have set copayments for their prescription drugs, an out-of-pocket expense they pay at the pharmacy counter. The co-payment framework is intended for the patient and insurer to share the cost. The pharmacies pass the co-payments to pharmaceutical benefits managers, who reimburse the pharmacy a negotiated rate to cover drug costs, as well as any dispending fees and markup. Van Nuys and Joyce led the analysis to determine how much of a problem overpayment is. They compared how much pharmacies received in reimbursement from the insurer or PBM, based on national data collected by the Centers for Medicare and Medicaid Services to what the patient paid as copayment as recorded in pharmacy claims provided by Optum Clinformatics. Additional coauthors of the study included Dana Goldman, Leonard D. Schaeffer Director’s Chair and distinguished professor at USC, and Rocio Ribero, USC Schaeffer Center project specialist. The study was supported by the USC Schaeffer Center for Health Policy & Economics and by the National Institute on Aging of the National Institutes of Health under Award Number PO1AG033559.